Born at Healaugh, Old Hall, Tadcaster. 24th November, 1893. 3rd son of Sir Edward Clitheroe Brooksbank, Bart., of Healaugh, Old Hall. 2nd Lieut., 5th February, 1913 ; Lieut., 31st October, 1914. Went to Belgium with 2nd Battn. in October, 1914, and was severely wounded near Ypres on 1st November (twice mentioned in despatches). Died of his wounds at 26 Park Lane, London, 16th December, 1914. A senior officer wrote of him : "A braver lad never stepped the earth ; he was left in command of 'B' Company when all his seniors had been shot. He commanded it like a veteran, and on two occasions he was largely responsible for the regiment being saved." "His comrades will miss him sadly and an older generation will recall the loss we sustained in the death of his uncle, William Stafford Brooksbank, who died of small pox at Bangalore. 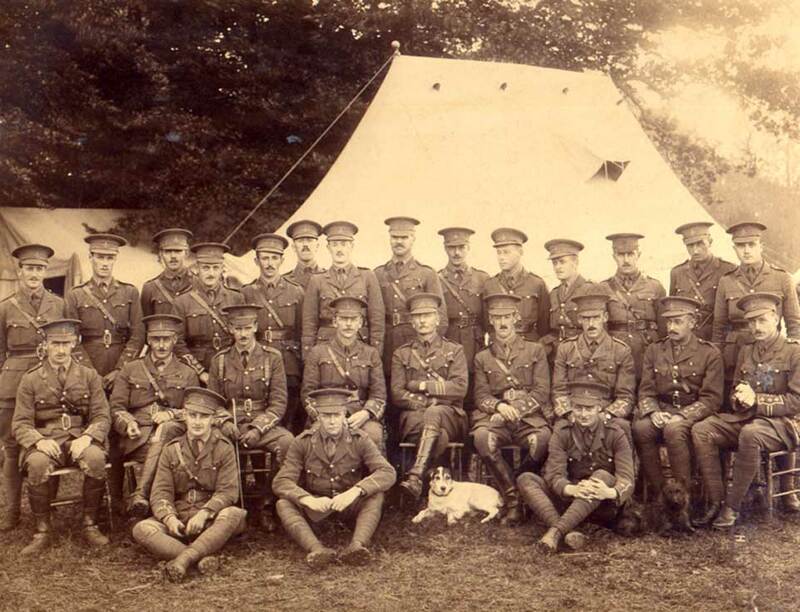 18th June, 1891, while Adjutant of the same battalion" (G.H.G.). Lieutenant Hugh Brooksbank is buried in the Church of St. John the Baptist, Healaugh. His elder brother, Stamp Brooksbank, also of the 2nd Battalion Yorkshire Regiment, was killed the following year. The photograph below is from the archives of Radley College, Oxfordshire, and has been kindly provided by Clare Sargent, Head of Archives at Radley College. 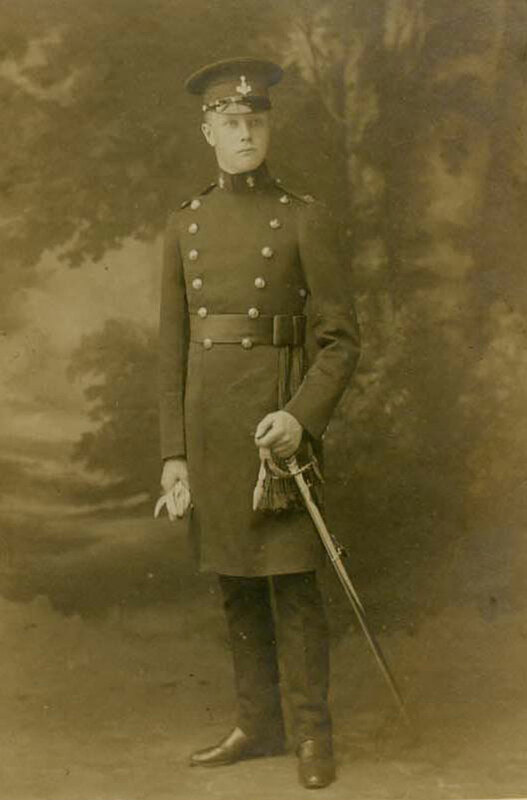 Although Hugh Brooksbank is wearing the insignia of the Yorkshire Regiment in this photo, the dress is possibly that. of a cadet.